It doesn’t hurt that a perk of the job is a few extra weeks off a year than most. I’m tempted to go on an aside here about how teachers earn more than those weeks off in overtime worked during the school year… but I’ll resist. 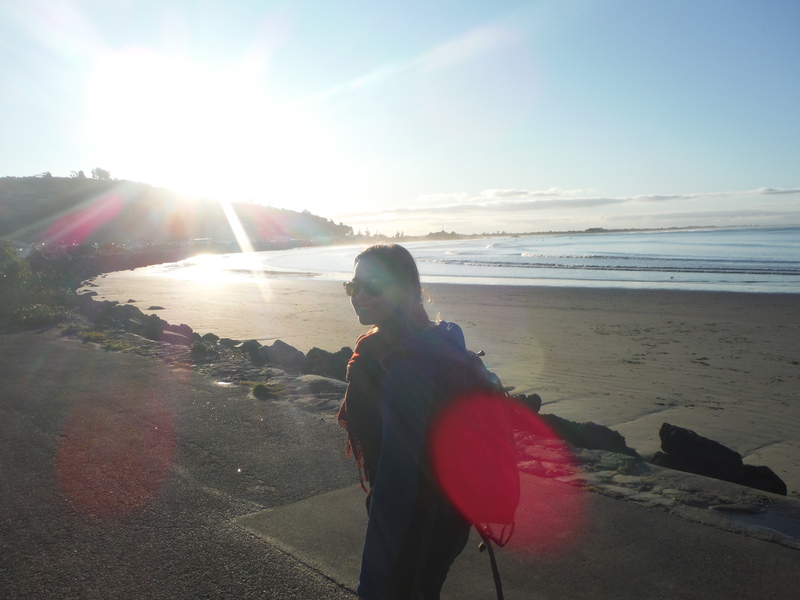 In any case, I knew when I became a teacher that I’d try my best to continue to travel when I could. I never anticipated, though, that my school would facilitate an international adventure. 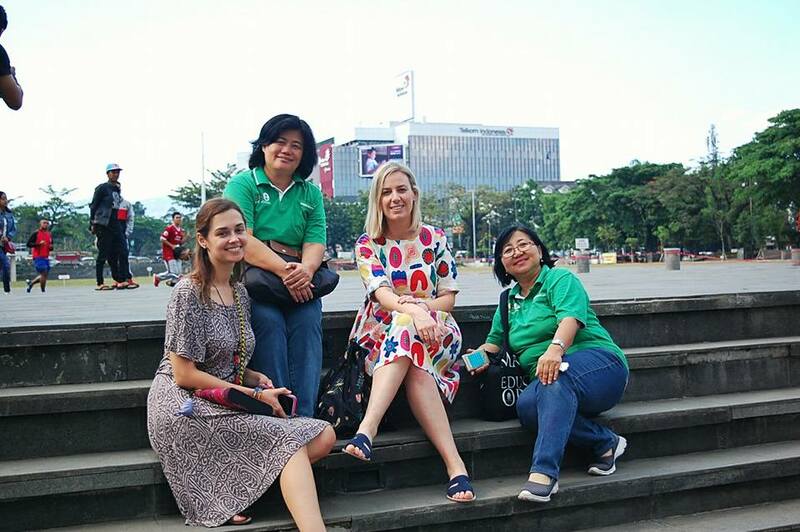 And yet here I was, in September of 2017, on a plane to Bandung, Indonesia with my principal and a coworker. 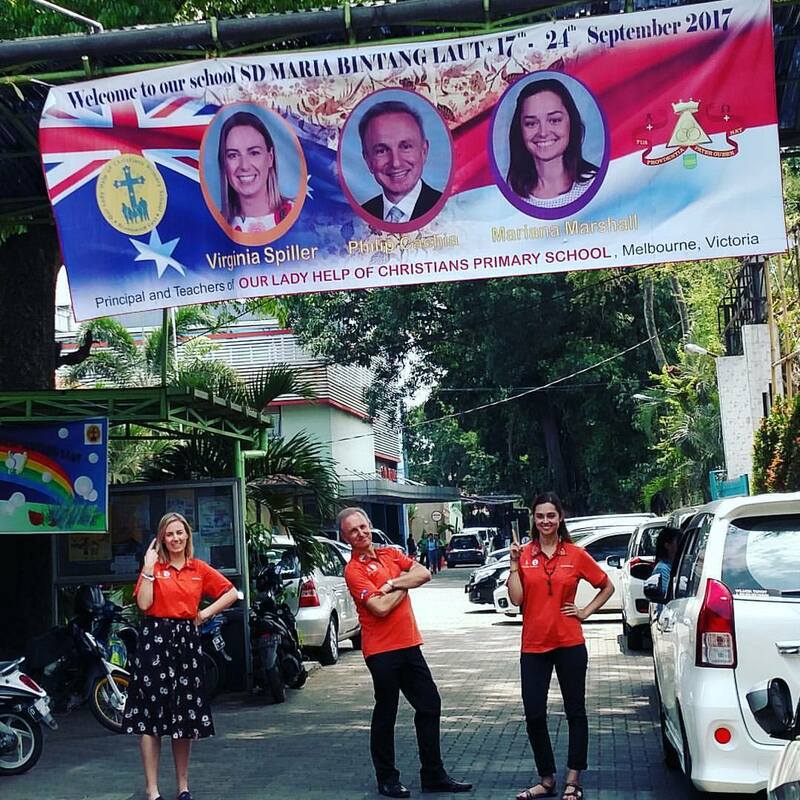 The school I teach at in Melbourne has a sister school in Bandung. Every year in March they send representatives to Melbourne and every year in September we send a contingent to Bandung. It’s a cultural exchange. Our students learn about life in Indonesia and theirs about life in Australia. It’s also professional development. During our respective visits we exchange ideas and teaching practices. This program is one of the main reasons I wanted to work at this school. I believe as teachers it is our job to bring the world into our classrooms. I believe that perspective taking and empathy are important lessons that need to be explicitly taught, and making room for learning about other places and cultures is one of the most effective ways to do this. While the internet certainly makes things easier, as a teacher I have found that it can sometimes be a challenge to find rich and authentic resources – especially that are appropriate for young children – to present these stories with. So in my mind, any chance to experience other cultures myself first hand is an opportunity to directly access resources and bring them into my classroom. Our relationship with our sister school takes this one step further, because the teachers have the opportunity to present their cultures not just to other teachers, but directly to the children. It is as rich, authentic, and primary as a primary source can be. In my classroom in Melbourne I have Indonesian posters up on the wall. Throughout the school you will find evidence of our sister school relationship in the form of Bahasa translations, posters, and decorations. In March my students welcomed our sister school contingent with a song, received visitors to their classrooms and gifts. When it was our turn to visit them, I thought I knew what I was getting myself into. Getting off the plane, a sea of smiling faces holding banners and signs. Hugs, flowers, welcomes. So much warmth. Sitting in the office of our sister school, dozens of little, curious faces pressing into the window, trying to steal a hello. Food, so much delicious food, prepared and presented lovingly by our hosts. Song, so much joyful song. At our sister school there was a real sense of community. Coworkers were also friends and family. Upon learning that all three of our Australian contingent would be laying over in Bali – but not together – they questioned us. Why do you not stay and travel together? Because we will have spent lots of time together by then, we thought we would like to rest and relax. In Bandung, we believe everything is better when you do it together. It was a challenge for my introvert heart, but that same heart was so full of gratitude. There was no effort spared by our hosts to accommodate us, to make us feel welcome. They showed us the sites of their city and region. They toured us through their impressive school. On my favorite day of the trip, they brought us to their homes. One of my host families presented me with a beautiful textile. In our culture, they said, this is what queens wear. I was presented with a table full of traditional food, but also with a fresh pizza in case I didn’t like the local fare. The entire experience left me so humbled and honored. 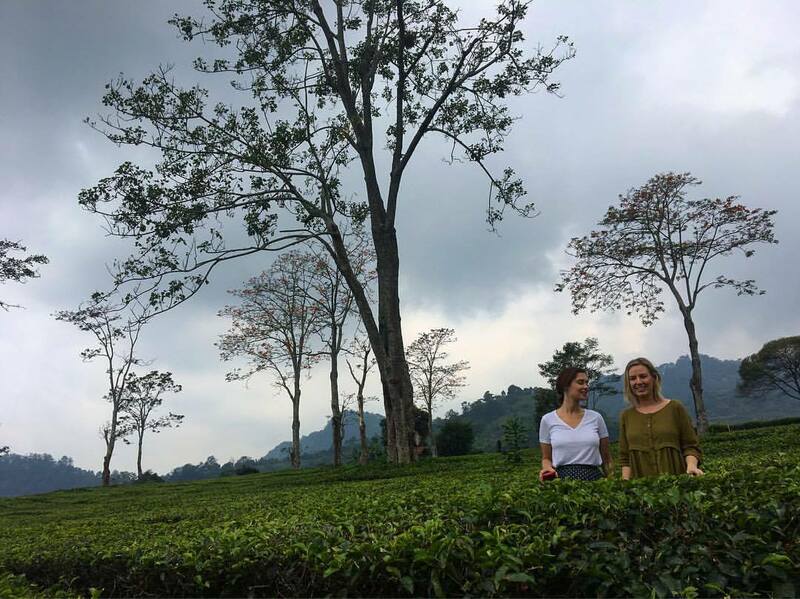 Before I visited our sister school I thought I did a good job of teaching my students about Bandung and West Java. Energized with the intimacy of my experience, I returned with so many new ideas on how I could help my students grow deeper in knowledge of this area of the world. This is the value in travel, and especially the value in traveling as a teacher. 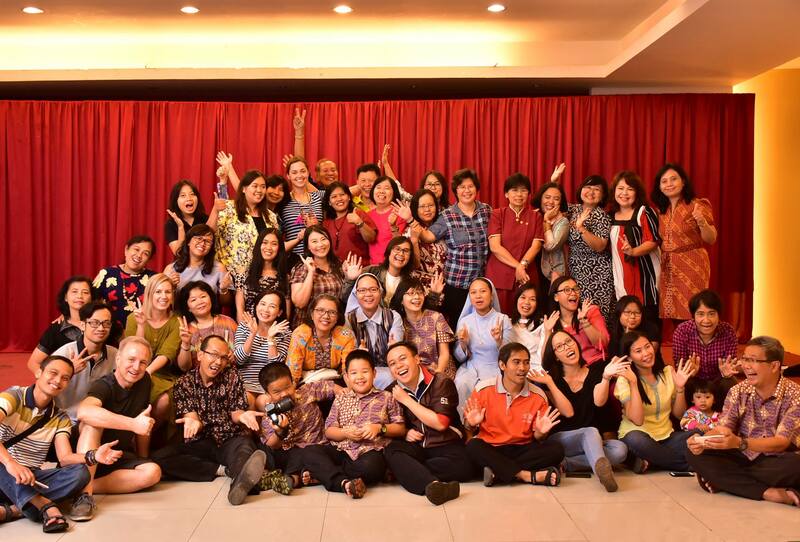 I will never be able to adequately repay my gratitude for all our hosts in Bandung shared with us. Their generosity was boundless, and thanks to them I returned to my classroom in Melbourne wealthy in experience and, even better, in friendship. I wish all my friends at Maria Bintang Laut School in Bandung the happiest of New Years. I will never forget the incredible week we had together.